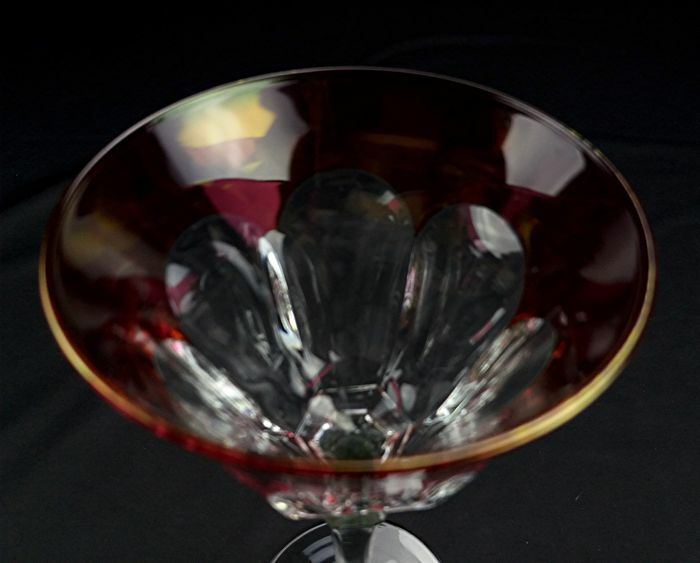 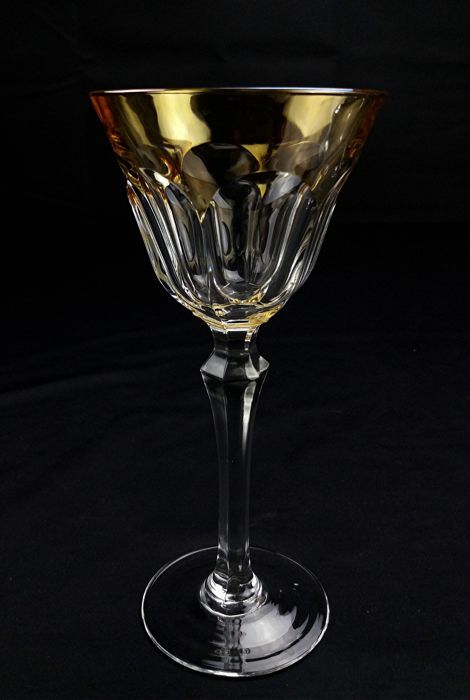 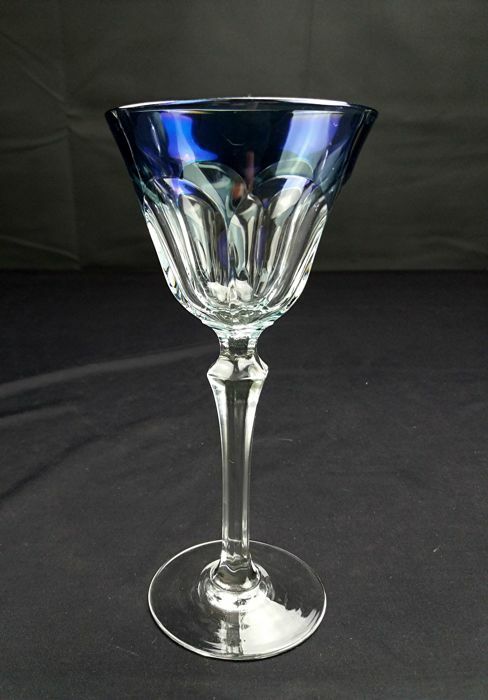 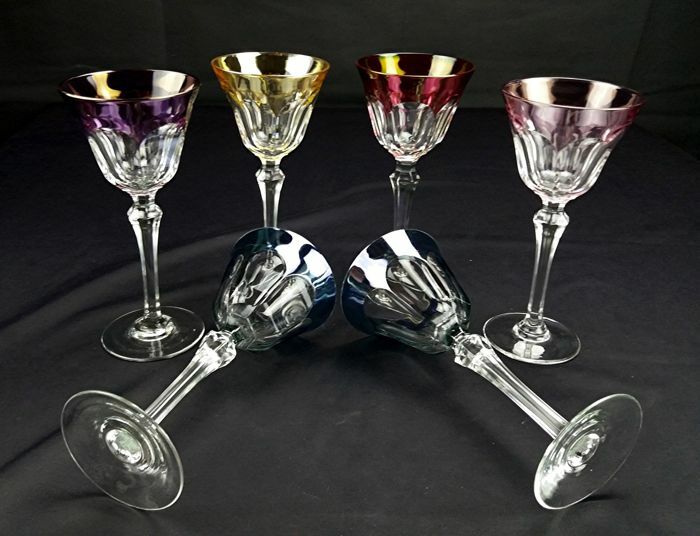 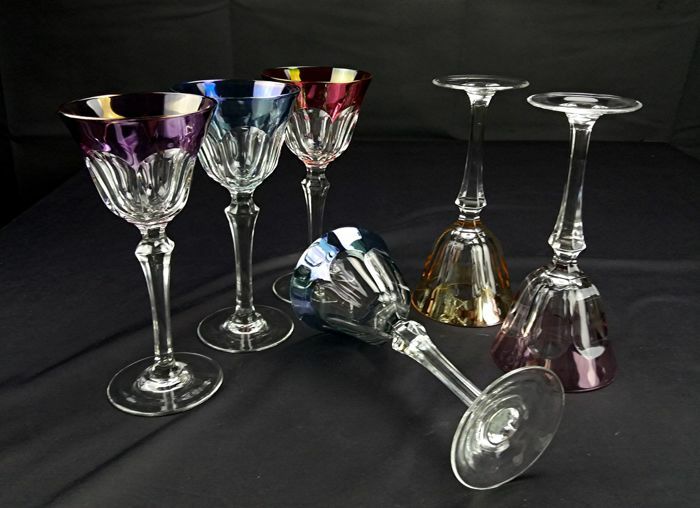 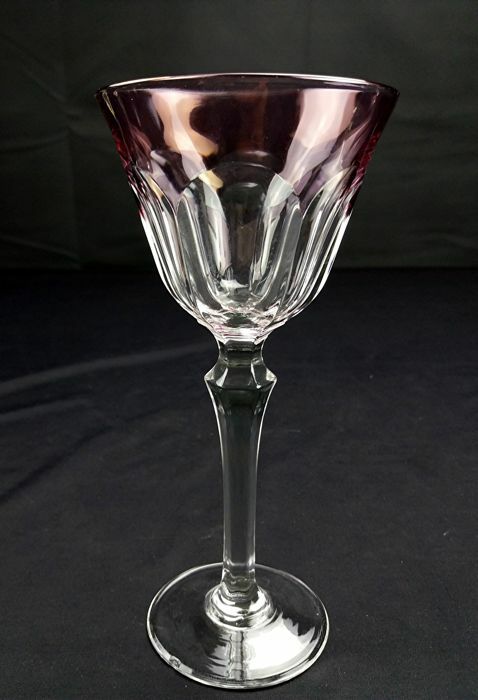 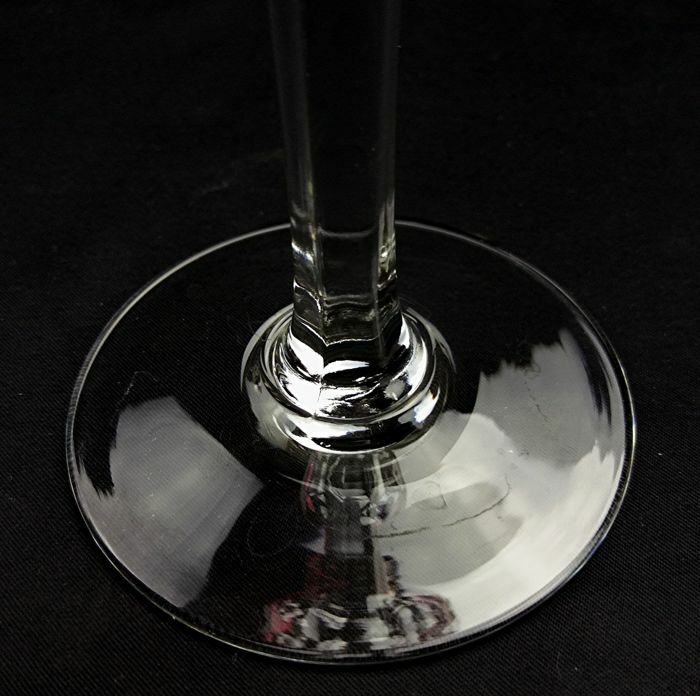 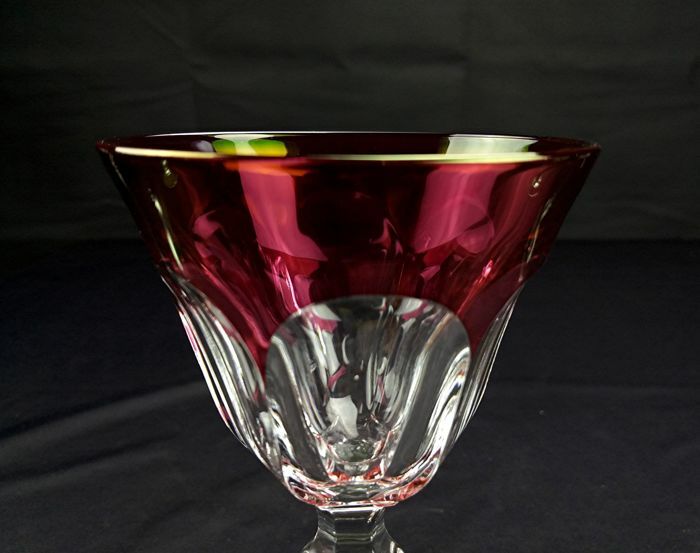 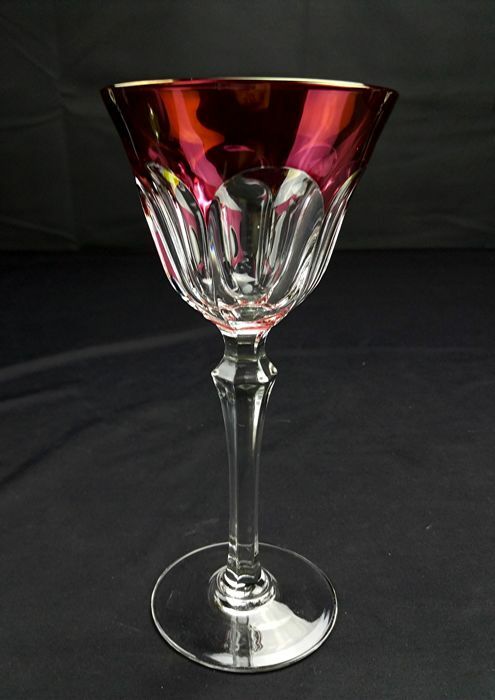 Set of 6 coloured crystal wine glasses by Val St Lambert - Vas 30 model, discontinued, not signed. 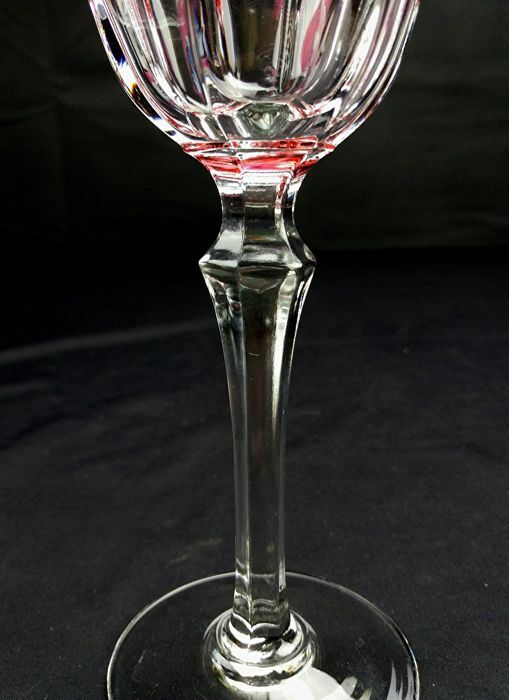 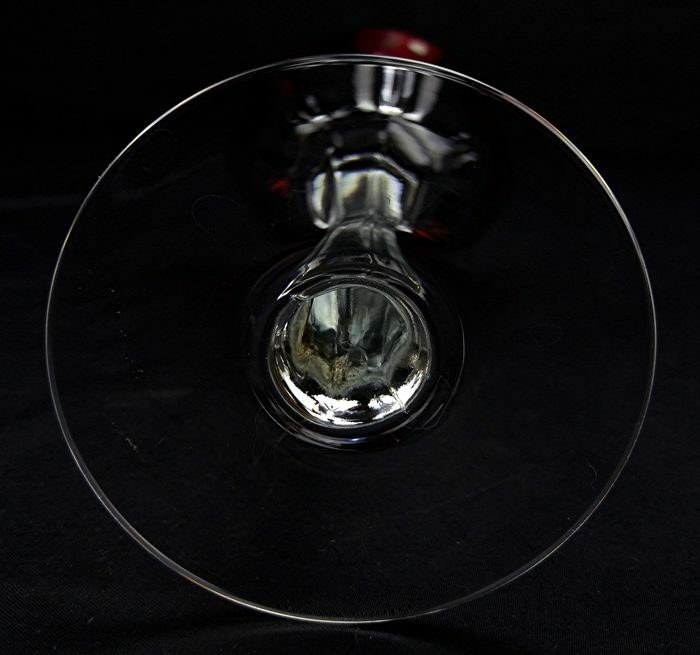 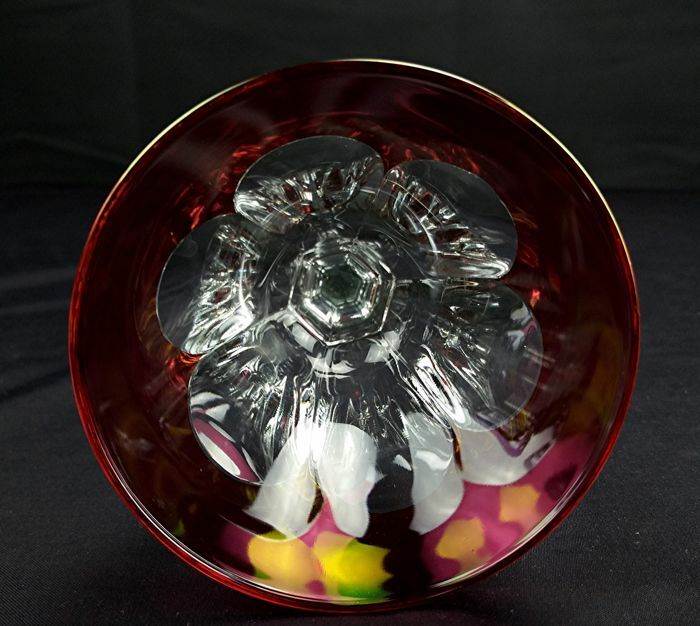 Flared cup, faceted hexagonal stem and circular base. 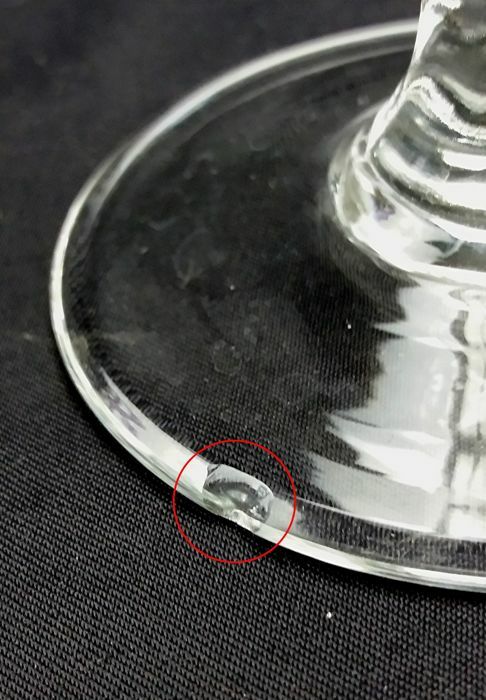 In good condition through a chip on a glass in the base: see photo encircled in red. 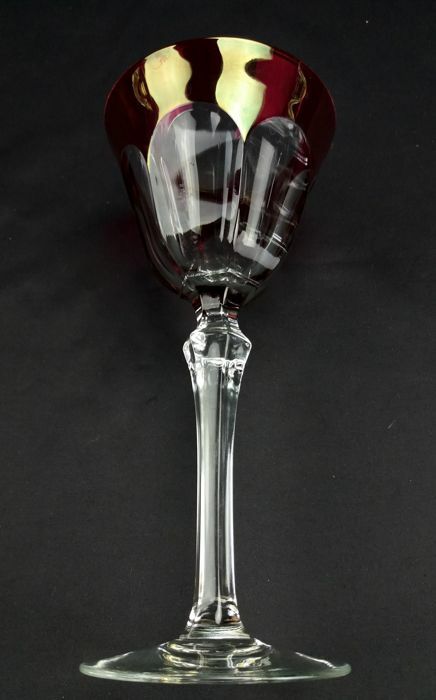 Measurements: H. 18.5 cm - diameter: 9 cm.